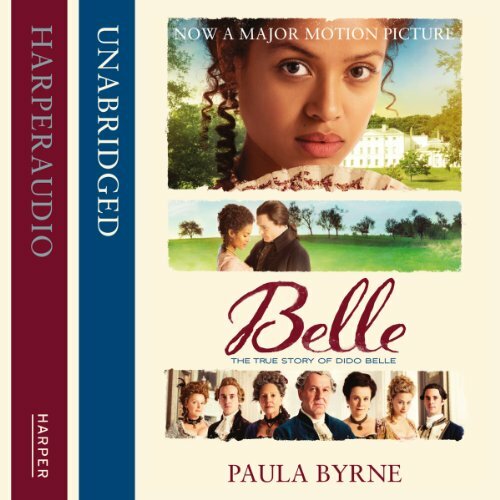 The inspiration behind the powerful new film starring Gugu Mbatha-Raw, Tom Wilkinson, and Emily Watson, this is the story of Dido Belle, whose adoption by an aristocratic family challenged the conventions of 18th-century England. In one of the most famous portraits in the world, a pretty girl walks through the grounds of Kenwood House, a vision of aristocratic refinement. But the eye is drawn to the beautiful woman on her right. Pointing at her own cheek, she playfully acknowledges her remarkable position in 18th-century society. For Dido Belle was the illegitimate, mixed-race daughter of a Royal Navy captain and a slave woman, adopted by the Earl of Mansfield. As Lord Chief Justice of England he would preside over the notorious Zong case - the drowning of 142 slaves by an unscrupulous shipping company. His ruling provided the legal underpinning to the abolition of slavery in Britain. From the privileged yet unequal lives of Dido and her cousin Elizabeth, to the horrific treatment of African slaves, Paula Byrne - the best-selling author of The Real Jane Austen - vividly narrates the story of a family that defied convention, the legal trial that exposed the cruelties of slavery, and the woman who challenged notions of race at the highest rank. I did find the opening chapter a little difficult to get with. Having seen the film, I soon recognized that it was mostly fictional, based on a few facts. However, the film did make me download this book, which I eventually found gripping, if not a little difficult and uncomfortable to listen to at times. Well, the slave trade was hardly a rosy story! Maggie Mash wouldn't my favourite ever narrator but I still enjoyed her reading. Obviously, a lot of research went into this book & I learnt whilst enjoying a good listen. What more can you ask for?